The last S&P 500 updates highlighted support around 2,040 and why the S&P is likely to seesaw across this support to fool investors (S&P 500 Abuses Popular Pattern to Fool Investors). The S&P obviously surpassed the initial up side target, and is now near the next resistance cluster, which gives the bears another shot at taking control. 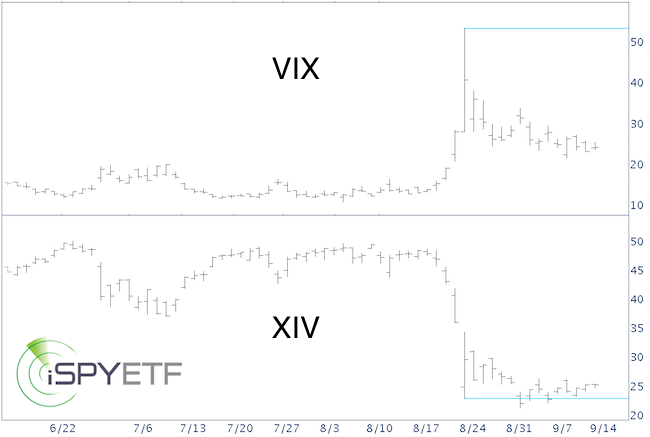 The S&P is following a pattern similar to May – July, and November – December, 2015 (blue boxes). The S&P reached the upper Bollinger Band for the first time since its April high. The S&P is overbought based on 2-day RSI (see vertical red lines). The CBOE Equity Put/Call Ratio dropped to 0.51, the lowest reading since July 30, 2015 (not shown). 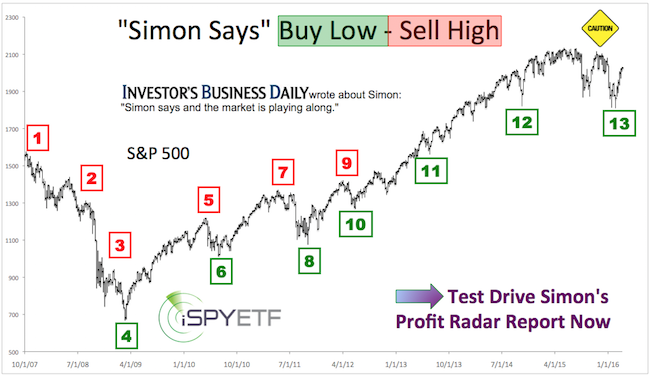 None of the above patterns guarantee a break down, but they show that risk is rising. Rising risk translates into opportunity for bears. This is only half the truth however. 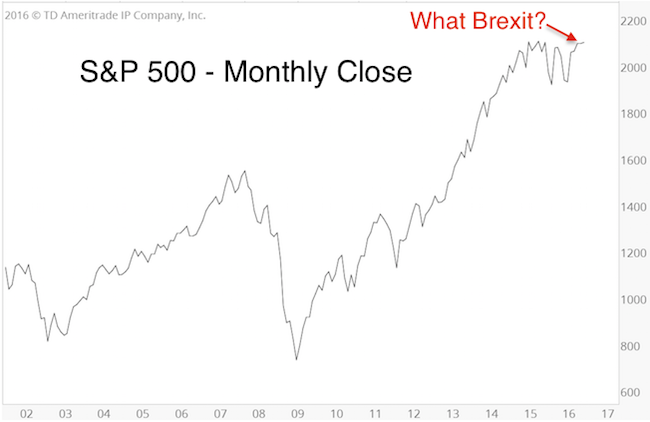 June is also the S&P’s best month during election years. The percentage of bullish investors polled by Investors Intelligence (II) jumped from 35.40% to 45.40%, one of the biggest one-week increases in 30 years. At first glance, this appears to be bearish from a contrarian point of view, but history says it isn’t. Similar optimism surges (as long as the percentage of bullish investors stayed below 50%) led to positive returns two months later 12 of 14 times (according to SentimenTrader). Courtesy of the latest rally near overhead resistance, bears get another shot at taking control. In fact, there are two possible reversal zones. Although odds favor (near-term) bearish bets, not all indicators point towards a deep correction. Therefore, precise trade execution and risk management are important to protect against a possible shakeout move. 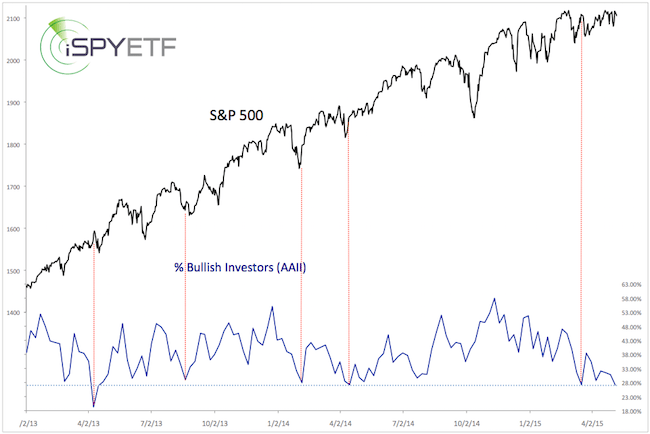 The latest American Association for Individual Investors (AAII) poll showed that 49.79% of investors are neither bullish nor bearish. This is the highest neutral reading since June 2003. Considering that the S&P 500 (NYSEArca: SPY) is trading at all-time highs, that’s quite remarkable. Is this bullish or bearish? 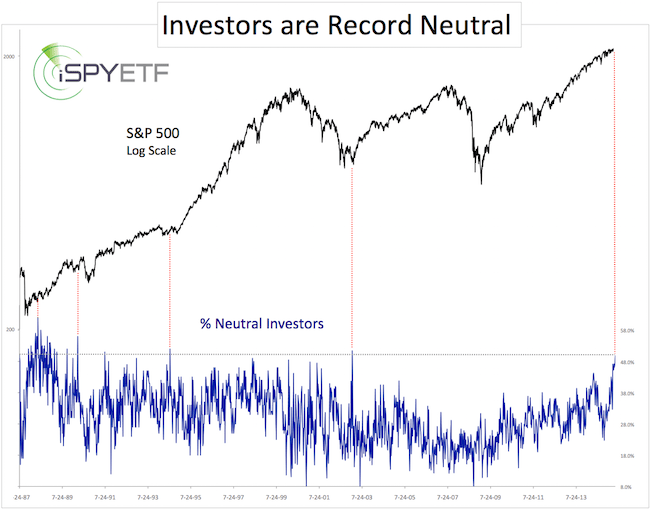 The chart below plots the S&P 500 against the percentage of neutral AAII investors, and marks similar prior readings. It’s always tough to stuff a few decades of history into one chart, but extreme levels of apathy are usually shown after some sort of correction. The AAII poll is one of the more noisy sentiment indicators, and I never put too much weight on it. When viewed in isolation, and considering that the percentage of bullish investors is also at a 2-year low, the AAII poll results are more bullish than bearish. 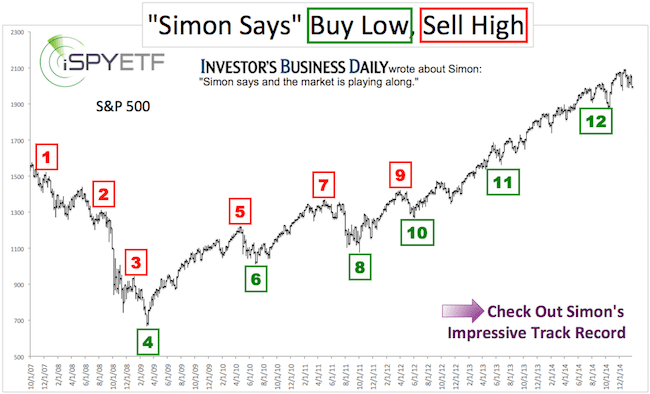 The S&P 500 attained three consecutive all-time (intraday) highs since. New highs appear to have been needed to flush out premature bears (again). Although there may be more ‘flushing’ to do, other indicators suggest risk is rising. Stocks have been trading in a tight range near all-time highs, but an increasing number of investors wouldn’t want to touch stocks even with a ten-foot pole. This is somewhat unusual, but is it bullish for stocks? The percentage of retail investors polled by the American Association for Individual Investors (AAII) has shriveled to the lowest reading since April 2013. The chart below plots the S&P 500 (NYSEArca: SPY) against the % of bullish investors. 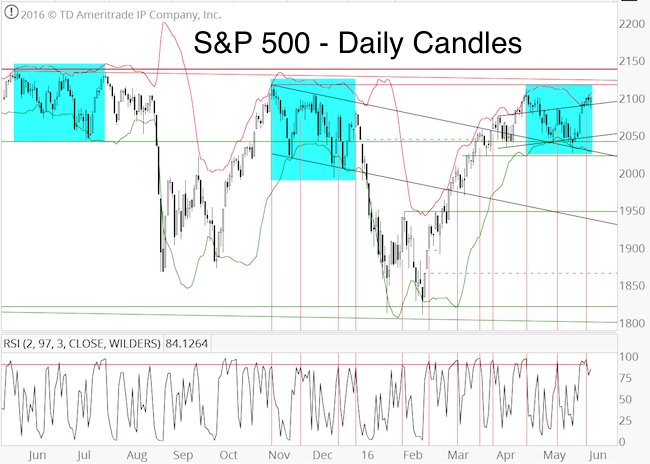 The red lines mark similar levels, and how such readings affected the S&P 500. The four biggest index ETFs – S&P 500 (NYSEArca: SPY), Nasdaq QQQ ETF (Nasdaq: QQQ), iShares Russell 2000 (NYSEArca: IWM), Dow Jones Diamonds (NYSEArca: DIA) – suffered $16 billion worth of withdrawals in April, one of the worst months (for index providers) on record. According to the Commodity Futures Trading Commission’s (CFTC) commitment of traders (COT) report, the ‘smart money’ has reduced short equity exposure while ‘dumb money’ is selling stocks. When viewed in isolation, the above-mentioned sentiment developments are bullish for stocks. 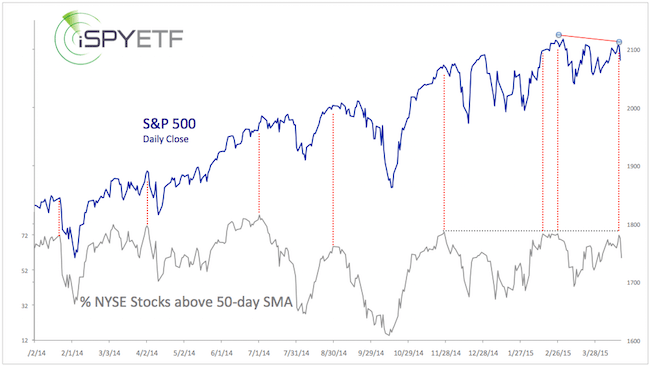 However, they are contradicting the bearish message conveyed by seasonality and market breadth. For now, we probably shouldn’t blow such bearish sentiment messages out of proportion. Stocks are still stuck in a range, and the contradiction between indicators may just perpetuate the range, or stretch it. I would watch S&P 2,118 as line in the sand. A break above 2,118 would likely reel in buyers. Although it may not be long before ‘buyers remorse’ sets in again. If you own stocks, this is a good new / bad news scenario. On one hand, U.S. stocks are stronger than the S&P 500 (NYSEArca: SPY) chart suggests. On the other hand, stocks are (or were) overbought, at least based on this indicator. The percentage of NYSE stocks above their 50-day SMA nearly matched their previous highs last week, while the S&P 500 stayed below its prior highs. The buying pressure behind the latest rally leg is actually stronger than the S&P 500 chart suggests. The % of NYSE stocks above their 50-day SMA reached an overbought reading. Prior such instances either saw stocks struggle to move higher or correct. 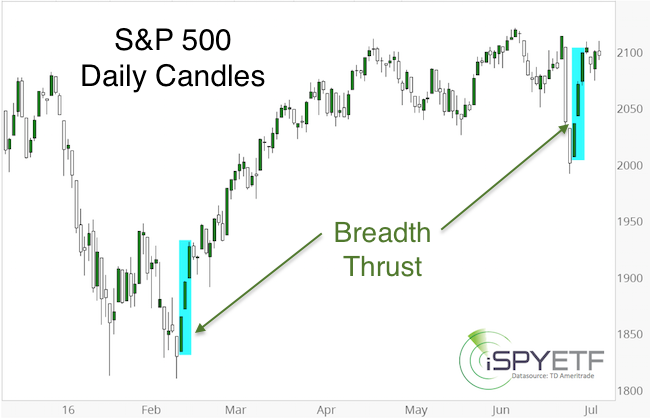 Based on technical analysis, investors should watch last weeks high – 2,111.91 for the S&P 500. Trade below allows for further weakness, trade above would translate into further up side (at least temporarily). Is the Russell 2000 Forming a Bearish Wedge? The Russell 2000 sports an interesting chart. 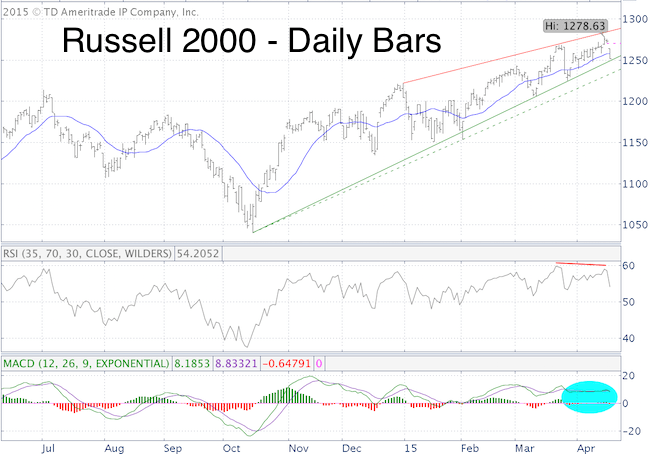 “The Russell 2000 rallied to a new all-time high today. The chart shows a wedge, which is generally considered a bearish formation. RSI did not confirm today’s high and MACD is barely positive (blue bubble). The 2-day RSI is short-term overbought at 96. The Russell 2000 also touched the upper Bollinger Band today. Well, the Russell 2000 pullback happened sooner rather than later. However, the Russell 2000 is still within the rising wedge formation (and above wedge support). There are two ways to draw wedge support (solid and dashed green line). 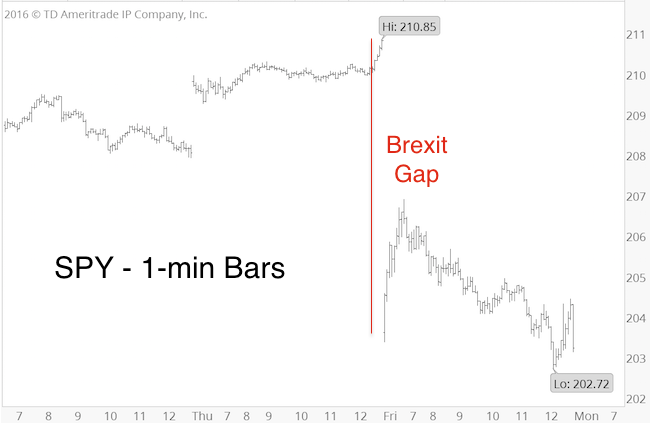 Notice also the open chart gap created by today’s massive gap down. Such chart gaps have a tendency to be closed – sooner or later. In summary, while today’s drop comes at the right time to start the initial validation process of the bearish rising wedge, the Russell 2000 still needs a break below support (on increased volume) to unlock the potential for much lower targets.